The month of cozy! We are very excited for this month’s word. Whether it’s the weather, the time of year, the holidays, or whatever reasons, this month always feels like a good time to get cozy — to cuddle up with your loved ones, to create a warm and inviting home, and so on and so forth. Indeed, it’s the best time of the year for coziness, and we are embracing it all month long (and well beyond). 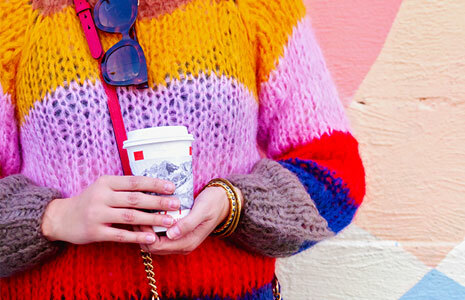 In tapping into this month’s word and theme, we wanted to get right into all things cozy. When we thought of cozy, we asked ourselves some of these questions: How do I make my home more cozy? How do I make my wardrobe more cozy? Can you be a cozy minimalist – or is that an oxymoron? How do you make a big house feel cozy? Can you make a modern home feel cozy? 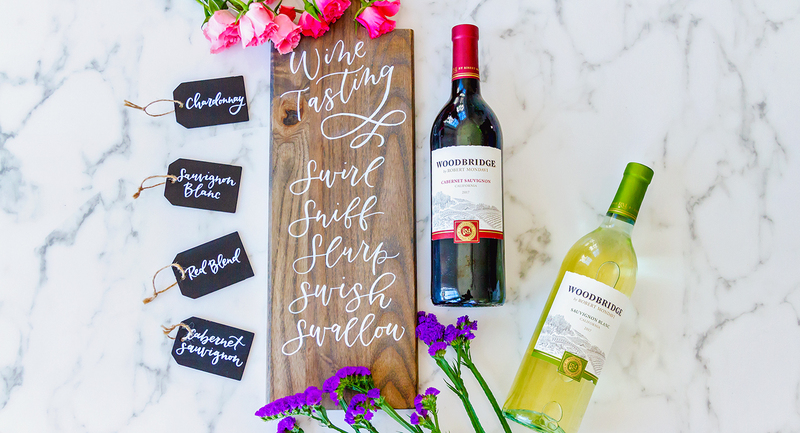 How can you make your guests feel welcome in your home? Can you create a cozy feel on a budget? We’ll be discussing some of these topics throughout the month. 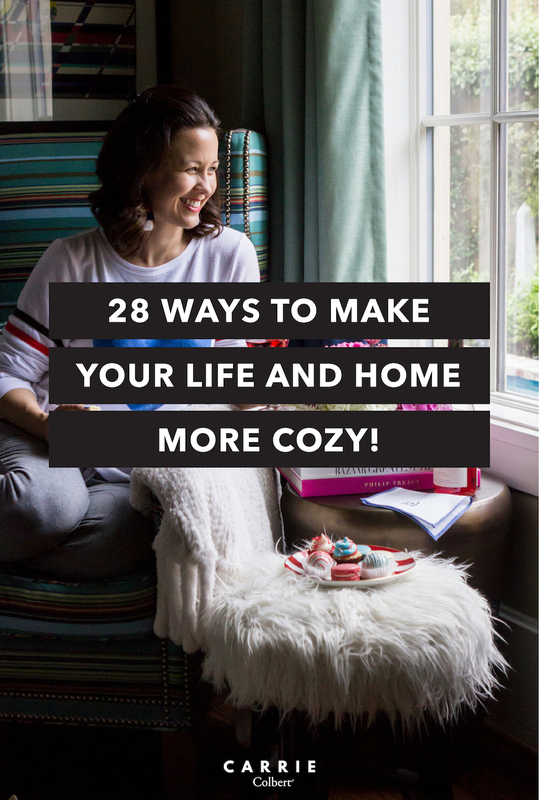 Today, let’s just hit it hard with some immediate, simple ideas for how you can add more cozy to your life! 1. 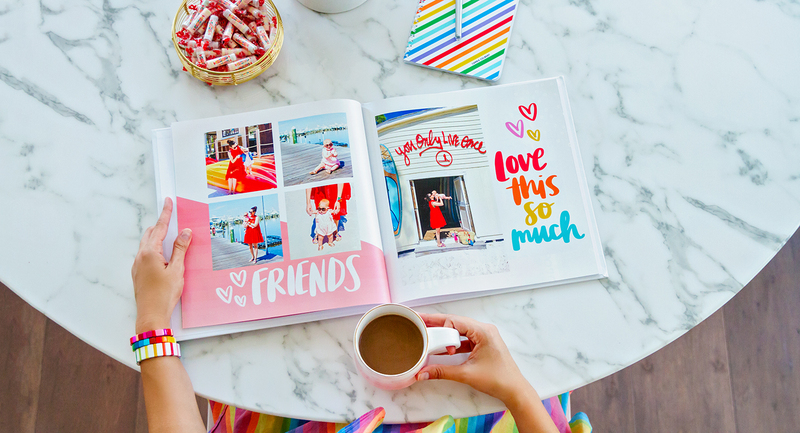 Snuggle up on the couch and look through old photo albums. 2. Have your friends over for wine on a cold fall night. 3. Start the morning off with coffee with friends. 4. Light your favorite fall-scented candle. 5. Add a chunky knit blanket to your sofa. 6. Read The Cozy Minimalist Home. 7. Display more family photos. 8. Find a comfortable place in your home and journal. 9. Start planning your Christmas tree and decor. 10. 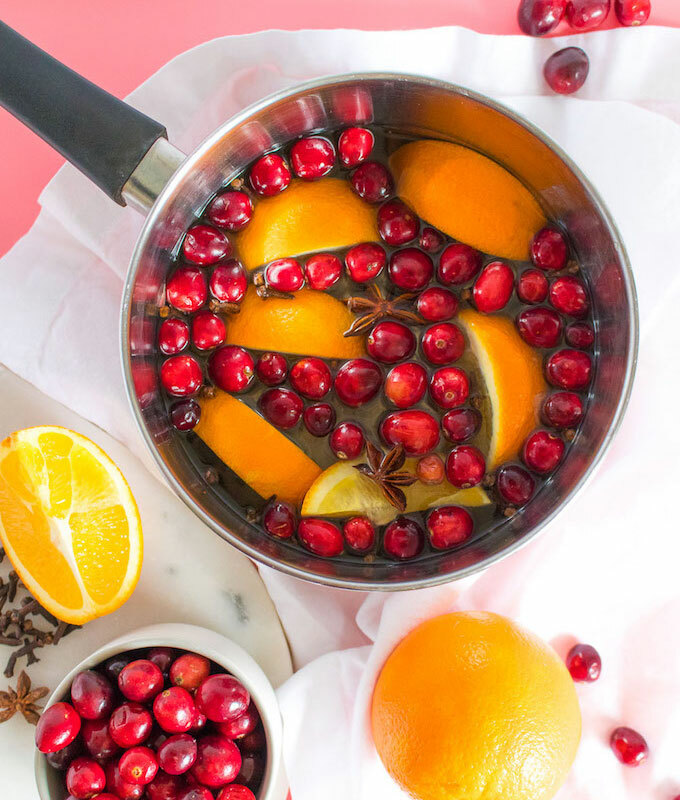 Make your home smell yummy all season long. 11. Throw on a cozy sweater. 12. Add some vintage books to your bookshelves. 13. Paint a dark accent wall. 14. Bring in natural elements like a reclaimed wood mirror. 15. 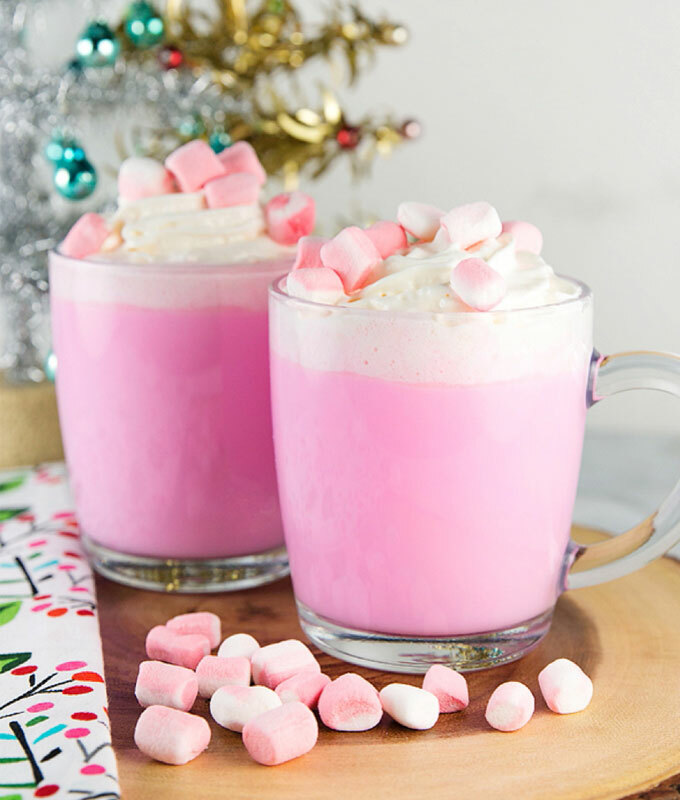 Hot chocolate (here, too!). Enough said. 16. Put a few new books to read on your nightstand. 17. Place a cozy doormat by your front door – maybe even consider a cheeky one. 18. Relax by a natural oil diffuser. 19. Take a long, hot bubble bath. 21. Get a new pair of incredibly soft and cozy socks to wear around the house. 22. Get a better night’s sleep, and you don’t have to count sheep to do so. 23. Host a spa night at home. 24. 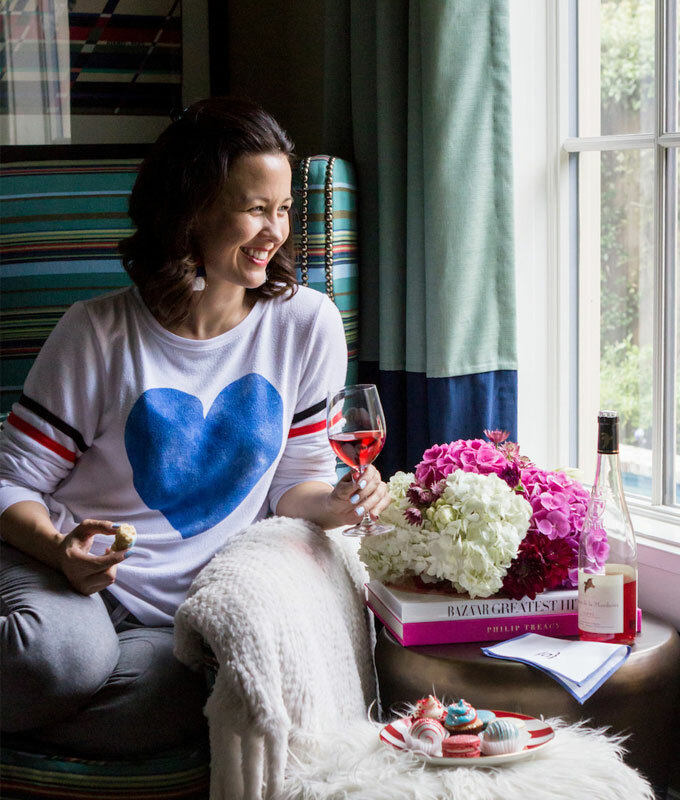 Grab some wine, grab some sweets, and grab your gal pals for a girls night in. 25. Check out a new coffee shop. 26. Hang some colorful art. 27. Organize your home like a boss. 28. Host a DIY wreath making night with your friends. Well, are you ready to get cozy with us? Let’s issue a challenge: try at least one of these ideas to add more cozy to your life this week. So, what’s it going to be? How are you going to do to add more coziness to your home and life? We’d love to hear. Share in the comments below and have a great day! Want to Know What You Can Expect Here in 2017? Wondering what you can expect around here this year? Read here!